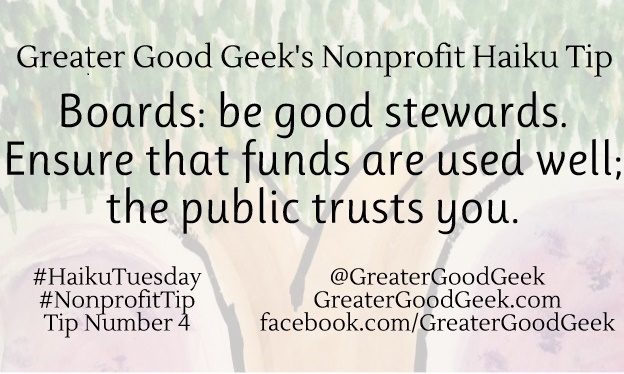 Hello nonprofit geek nation! It is ‪#‎haikutuesday‬ and time for the weekly tip for your nonprofit organization and poem all in one! Enjoy! First Haiku and Nonprofit Tip – All in One!